All you need to create arches with impact. 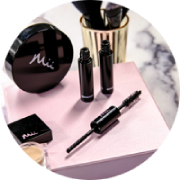 Our kit includes a long lasting waterproof brow powder and stencils to give you the choice of five fabulous looks. 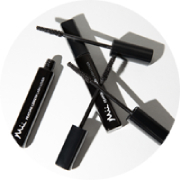 This perfect pairing transforms your brows in an instant for a seriously striking statement. CI 77019, CERA ALBA, CI 77492, STEARYL HEPTANOATE, CALCIUM SULFATE, CI 77499, CI 77491, BEHENYL ALCOHOL, STEARYL CAPRYLATE, DIMETHICONE, SILICA, TOCOPHERYL ACETATE, METHYLPARABEN, PROPYLPARABEN, COPERNICIA CERIFERA CERA, NYLON-6. 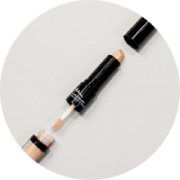 Love the Statement Brow kit with different stencils so you can find the right shape for you and it has the handy powder crayon to dab in the stencil to perfect your brows! Love Mii!